My sons and I recently went to Legoland to check out the new Ninjago Ride. We've been before and one of our favorite parts of going to Legoland is being able to trade Lego Figures with cast members! You can bring in a Lego figure (a head body and legs) and trade with cast members throughout the park, it's awesome!!! The cast members have special lanyards or name tags that they wear that the Lego figures can attach to. 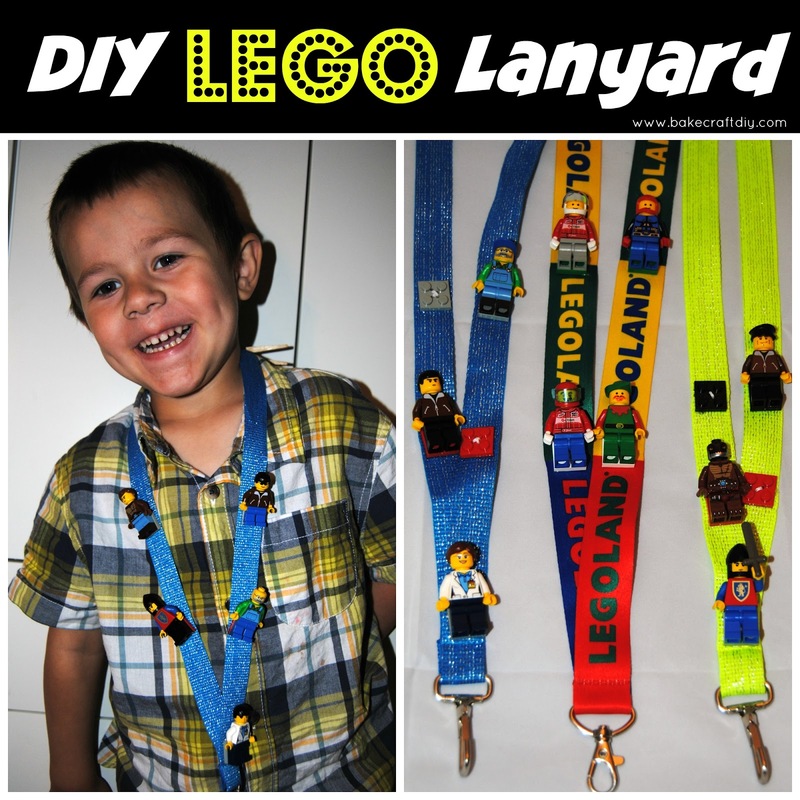 I loved the Lego lanyards for my boys, but they are custom made for the cast members and are not available for sale so we went home and made them!! And you can too! Use the pliers to hold on to the Lego piece drill 4 holes in the middle of each of the Lego pieces you'll be using. 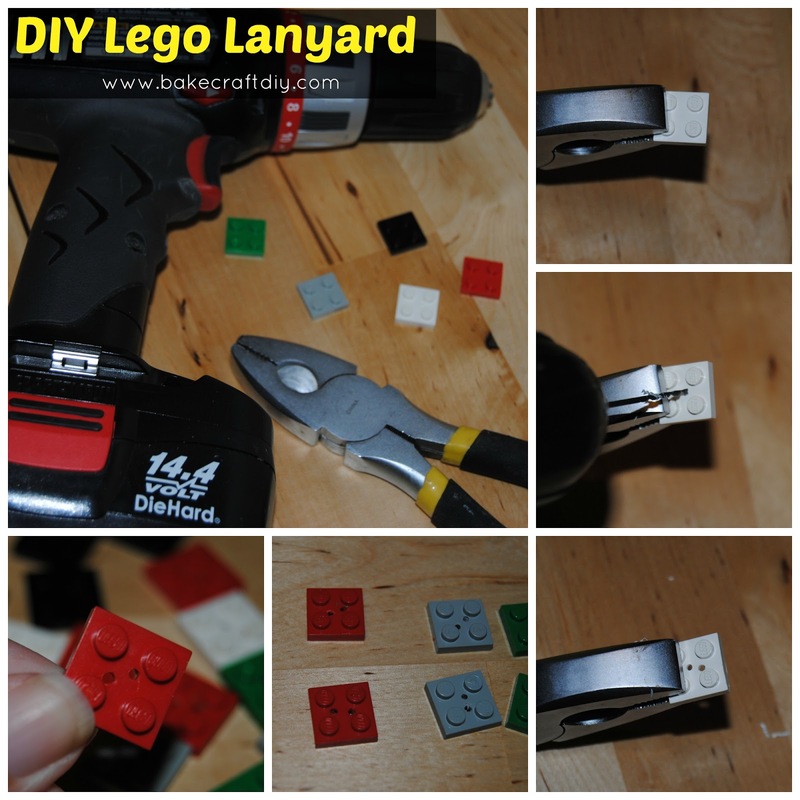 Line up your Lego pieces with where you would like them to be then use a pin to secure them, this will help you keep them symetrical. 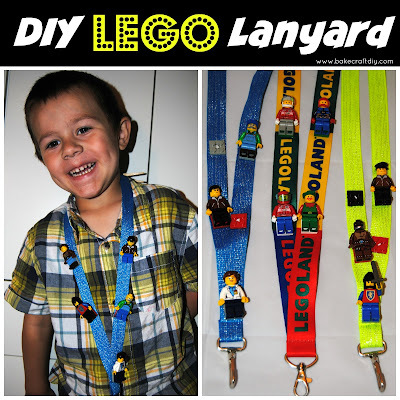 Take each Lego piece and hand sew them onto your lanyard. When your finished add you Lego figures and you're ready to go! Super cute and original! I bet a lot of people at Legoland will want to buy one off of you! The ones they sell at Legoland Florida don't require any drilling or glue. They are all brick! You can buy them in the Factory store. 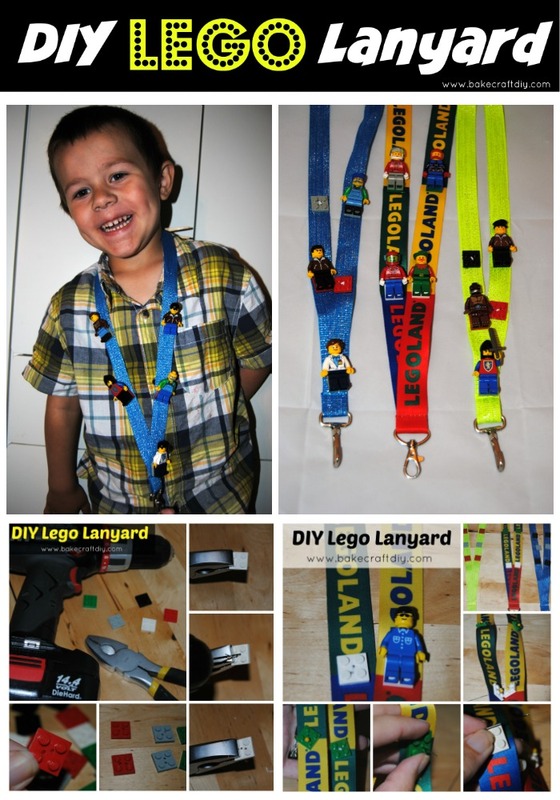 My son bought just the bricks because he brought his own lanyard . That's awesome! 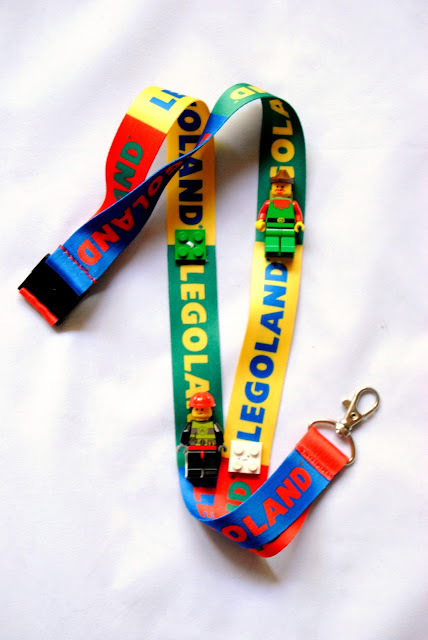 I searched all the stores in Legoland, CA and couldn't find it so I asked a cast member who informed me they only sold the plain lanyards no trading lanyards with the Lego squares you can use to stick figures to. But making them was inexpensive I spent about $6, four on the Legoland lanyard in the park and a dollar each for the plain lanyards. SO creative! We usually just keep ours in our pocket, but this is a great idea! Previously we just kept ours in a sandwich baggie. 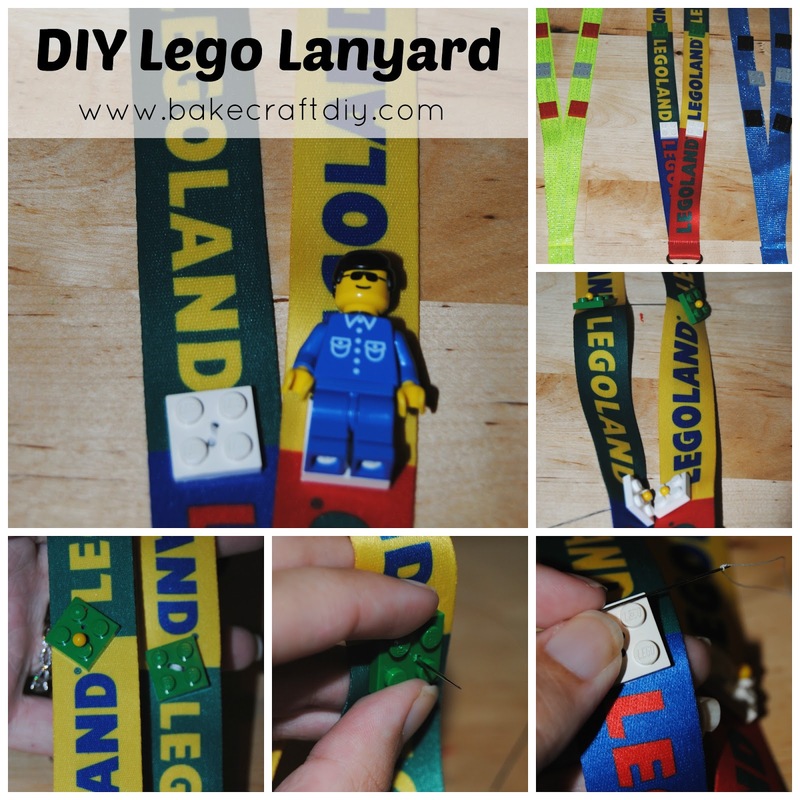 This is way more fun and the lanyards are super easy to make; less than 30 minutes on one, depending on your sewing skills. How cute! My son would love this! Thanks so much for stopping by Inspiration Thursday and sharing your awesome Lego craft. Have a great weekend! Thanks! If you're headed to Legoland or even if your not I would recommend making him one. My son has been trying to wear his anytime we go out... part of that may be the hope we'll randomly go to Legoland again. :D Hope you have a great weekend as well! I've been trying to figure out how to make something like this! THANK YOU! I never even thought of drilling!